For a nation that prides itself on having impeccable table manners, gorging on a juicy burger can prove more than a little tricky when it comes to maintaining your decorum. So much so, in fact, that one Japanese fast food chain found that sales were flagging because women had been avoiding the cultural faux pas of showing their open mouths in public. 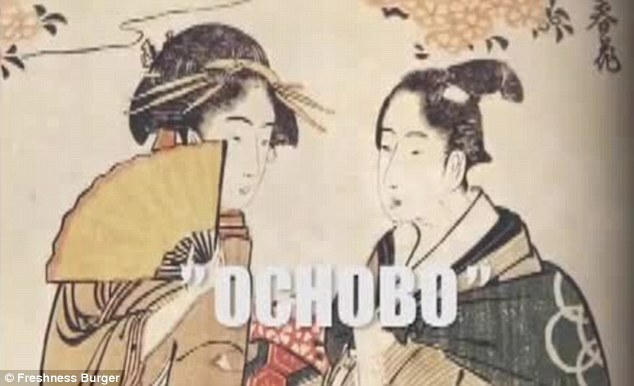 In Japan, it is regarded as attractive to have what’s known as ‘Ochobo’ – a small and modest mouth – whereas doing the opposite is frowned upon as rude an ugly. Now Freshness Burger has come up with simple solution to free women from the ‘spell of Ochobo’ – and sales have gone through the roof. 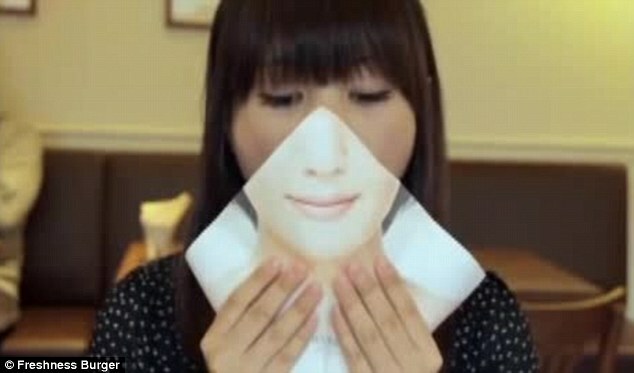 The Liberation Wrapper is a paper ‘napkin’ which holds the burger and covers the mouth with a picture of a polite smile as you take a bite. 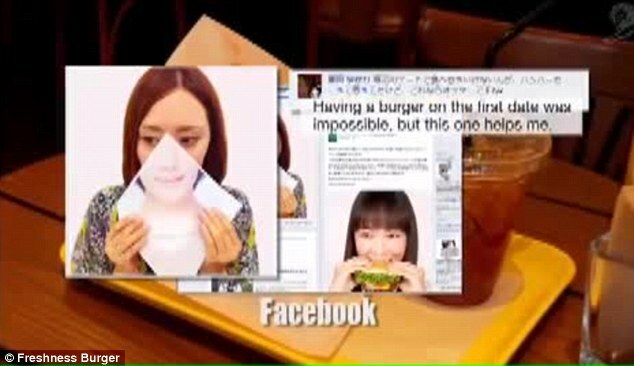 According to Dentsu East Japan, the company hired to come up with The Liberation Wrapper: ‘Their (Freshness Burger) largest and best-tasting Classic Burger was amongst the least chosen by their female customers. ‘One of the major reasons seems to relate to Japanese manner…. It is good manner to cover their mouth when they have to largely open up their mouth. ‘Our female customers had a frustration of not being able to do it. ‘Freshness Burger decided to challenge convention, freeing women from the spell of Ochobo mouth’. The company said sales have soared 213 per cent in just one month since introducing it.